im a simple guy thats easy to please. Does dantrellv belong in this group? Does therock3088 belong in this group? 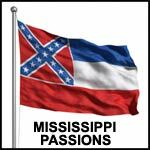 I love Mississippi women I love Mississippi women. Race doesnt matter. Does gregs44 belong in this group? Looking Wondering who is out there. Does nola87 belong in this group? mrississippi Just looking for new friends in Mississippi! Does brandonst belong in this group? Does phylmena belong in this group? Geek looking for Love well i am not sure what i am looking for in this. but here goes, i enjoy reading and watching tv on hulu and netflix, as well as gaming on consoles and PC's. but, my main passion is Pen and Paper RPG's. i am very shy at first but once i get to know someone i open up. i guess i am looking for someone i can share hobbies with. Does constructacon1 belong in this group? Does feelthestorm belong in this group?